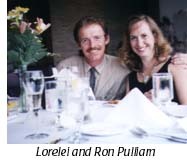 The Center is owned and operated by Ron and Lorelei Pulliam of Afton, Virginia. Ron is a mental health counselor with 30 years of experience in the field. 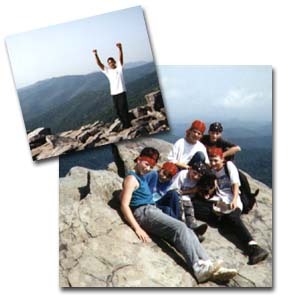 He is currently the program manager of the Child and Adolescent Day Program in Rockbridge County, where he offers individual, family, and experiential therapies to children with emotional and behavioral problems. Lorelei is a special educator at Walton Middle School in Abermarle County with nine years of experience as a teacher. She has raised and trained horses for 25 years and has extensive training and experience in therapeutic horseback riding. The Pulliams were called upon to present their model at the North American Riding for the Handicapped National Convention in 1992 and 1993. Their work with sexually abused girls to mental health professionals at the Virginia Beach Conference for Children and Adolescents with Emotional and Behavioral Disorders in September, 1998. The Center is based on a working horse ranch in the beautiful rolling hills near Afton, Virginia, surrounded by hundreds of acres of wooded riding trails. The barn, arena, paddocks, and resort-style home were all designed and built by Ron Pulliam himself. The mountains of Shenandoah National Park, just 15 minutes away, provide another avenue for therapeutic outdoor activities. The Center can accomodate groups of up to fifteen students, although the preferred class size is six to eight. The horses used at the Center are gentle, calm, and extensively trained. Safety gear is worn and safe practices emphasized at all times while the children are near the horses. 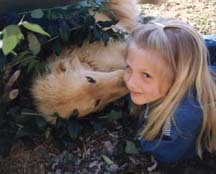 At Gallastar, animals are such an integral part of our programs that they literally become "partners in therapy." 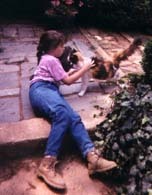 Children and adults seem drawn to the barn cats, our dog Gus, and the other animals that surround the barn. Of course, the major attraction at Gallastar is our horses, and we would be pleased to introduce them to you. Please take a few moments to meet some of the amazing animals of Gallastar, beginning with Star, the kindly matriarch of our program.